It may be a new year, but the controversy surrounding ATF’s Operation Fast and Furious isn’t going away any time soon. The latest: Darrell Issa (R-Calif.), head of House Committee on Oversight and Government Reform, announced Thursday that a subpoena has been issued for Patrick J. Cunningham, Chief of the Criminal Division in Phoenix. 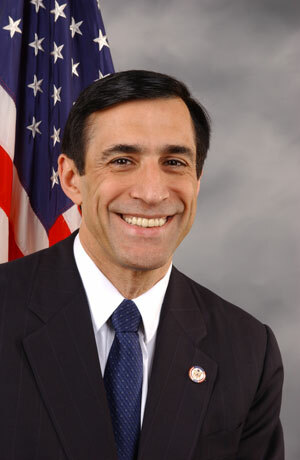 “During the course of our investigation, the Committee has learned of the outsized role played by the Arizona U.S. Attorney’s Office – and you specifically – in approving the unacceptable tactics used in Fast and Furious,” Chairman Issa wrote to Cunningham in a letter informing him of the subpoena. “Senior Justice Department officials have recently told the Committee that you relayed inaccurate and misleading information to the Department in preparation for its initial response to Congress, ” the letter said. In the letter dated Jan. 18, Issa wrote that Cunningham had cancelled his voluntary interview with the committee that was set for Jan. 19. The subpoena requires Cunningham to appear on Tuesday, January 24 for a deposition. Posted: 1/19/12 at 12:08 PM under News Story. The record clearly indicates that the USDOJ and Attorney General Eric Holder is attempting to blame others for an investigation his justice department began, was aware of and is no disavowing. This is typical Obama Administration blame dodging. Republican’s in the house should see this for what it is a massive DOJ coverup. The Fast and Furious investigation began in 2009, months before Cunningham even started at the US Attorney’s office in 2010. Cunningham is a 32 year public servant, including a JAG officer in ht US Army, a state prosecutor and a federal prosecutor. He has never been anything but a public servant.